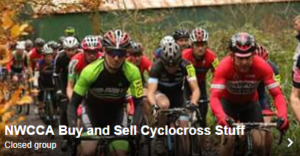 Home › News › Preston Cyclocross – Parking – and Update to the Update ! Preston Cyclocross – Parking – and Update to the Update ! The limited street parking along West Cliff as previously described will now not be available this Saturday due to extra weekend restrictions. Parking at the Lancs County Council East cliff offices is free to event competitors and spectators only. This is the best parking available and very close to the park. It will have a steward managing the car park throughout the day. Its open from 9.00am to 4.00pm and will be locked at 4.00pm so all cars must be off site by then. I would encourage you to use this parking facility as we have had to pay for the attendant on site. Just say that you are attending the race if you are asked. The best way in is from the A6 London Road. At the traffic lights opposite the DWP building go along Queen Street which continues as Avenham Lane, you pass the park on your left as you join Ribblesdale place, after a sharp right take the first left onto East Cliff, follow that road over a narrow bridge to the car park. It’s not suitable for larger motorhomes. Sat Nav PR1 3EE. You will need to walk / ride back along East Cliff and turn right to approach the park entering via a footpath.